LE BEANOCK was featured on the acclaimed British television lifestyle series Grand Designs, at the Curved House (Clapham, LONDON) downstairs in the library room. 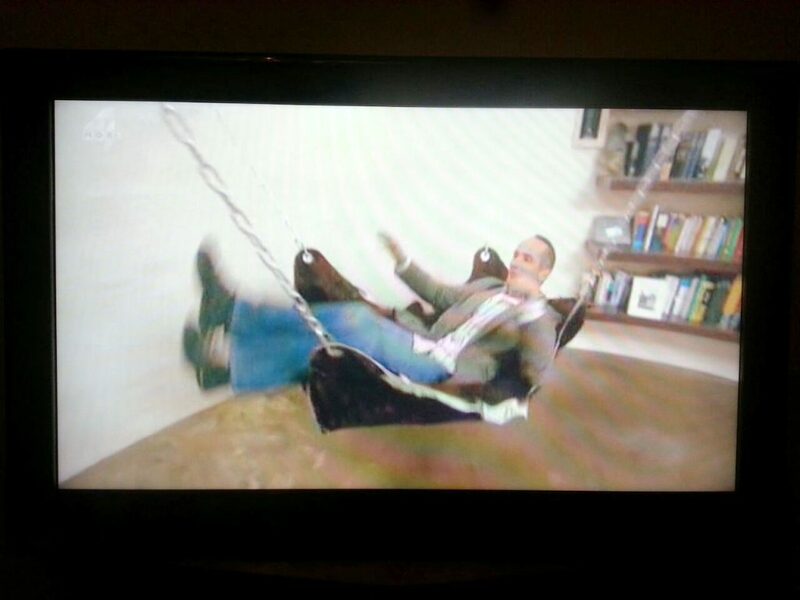 Presenter Kevin McCloud threw himself onto our LE BEANOCK HIDE with much gusto and marvelled at how comfortable it was. LE BEANOCK™ was one of the stylish stars of the British BBC 2 business show – Dragons’ Den. The programme offers entrepreneurs like Tracie Herrtage the chance to bid for investment cash. After a gruelling audition, Tracie was picked from 1000’s of company heads to pitch her idea to 5 of the UK’s most successful entrepreneurs including Rachel Elnaugh and Simon Woodroffe, founder of the Yo! Sushi restaurants.